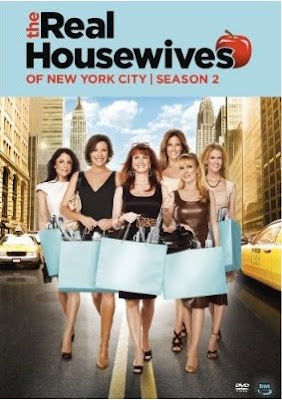 THE REAL HOUSEWIVES returns to the Big Apple for a second season of drama with everyone s favorite Manhattan ladies. Alex, Bethenny, Jill, LuAnn, and Ramona, along with new cast member Kelly Killoren Bensimon - continue to juggle their careers and home lives with busy calendars packed with charity fund-raising galas, the social whirl of the Hamptons, and interviews for elite private schools. THE REAL HOUSEWIVES OF NEW YORK CITY follows six glamourous Manhattan women as they balance motherhood, demanding careers, and a fast-paced social calendar, and shows what life is like in the most exclusive areas of New York. Welcome to one of the most exclusive neighborhoods in Southern California. Go behind the gates and meet the women who hold the keys. The Real Housewives of Orange County. The 10 million-plus fans of Bravo's top show The Real Housewives want to know what happens when the cameras aren't rolling. In this behind-the-scenes companion, the women from Orange County, New York, Atlanta, and New Jersey dish on everything from plastic surgery to personal growth and share their top-secret tips on shopping, styling, travel, fitness, and real estate - in Real Housewives Get Personal. 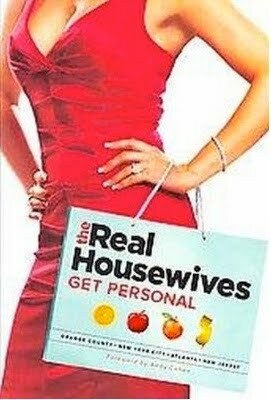 *Follow me @ jamaise at Twitter & Tweet this : RT @jamaise #GIVEAWAY #WIN - a Real Housewives Season 2 ~ Prize Pack ~ A&E Home Video ~ http://bit.ly/cIikre Ends 8/31 tweet each day for one entry each ! Disclaimer:A&E Home Video provided a prize pack for one winner .I was under no obligation to review it if I so chose. Nor was I under any obligation to write a positive review. I was not compensated for this giveaway. I am a friend on google friend connect. Thanks for the giveaway! I am a friend on Google Friend Connect. Thanks! I entered the Milly the Pinkest Kitten giveaway. I'm addicted to The Real Housewives. I follow your blog via GFC. Thanks.